Our girl turned 4 this week. 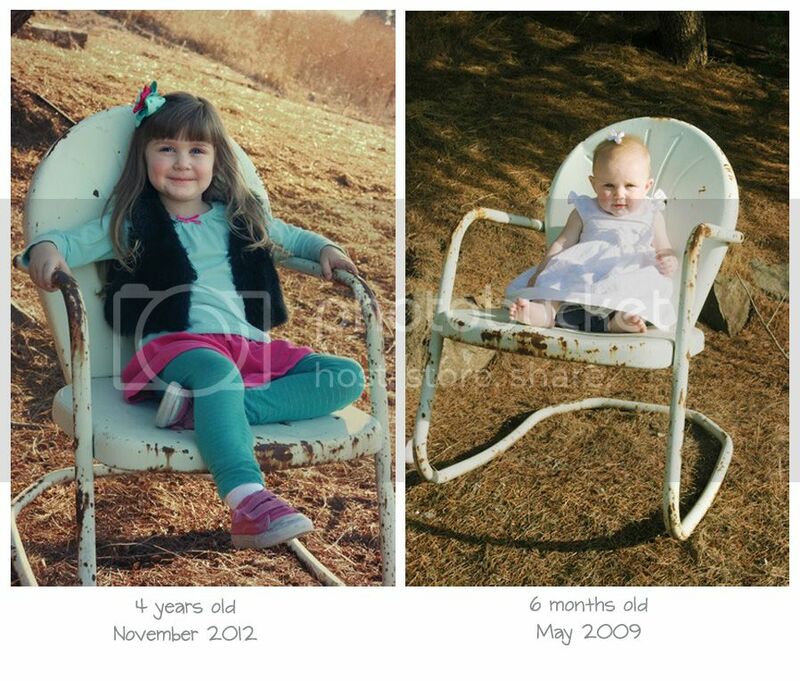 Of course I had to take another yearly photo of her in great-great grandma's chair. 4th birthday's are quite the celebration, especially if you've spent a bit too much time watching the home and garden channel with Mommy ;) She only had 1 request for a present, a pink scooter, but had a list a mile long for the birthday celebration itself. A pink cake didn't surprise me, but the request for "a pretty plate for the cake to sit on" ya, that one made me laugh! I love you Gracie girl, you make every day an adventure! I thought four was such a wonderful age...so excited to lern new things, so full of questions, so full of fun. I loved it when my girls were 4! Treasure this time! Happy Birthday to Gracie!!! She is such a cutie and looks just like you Mary Ann!! I think your daughter looks like you!